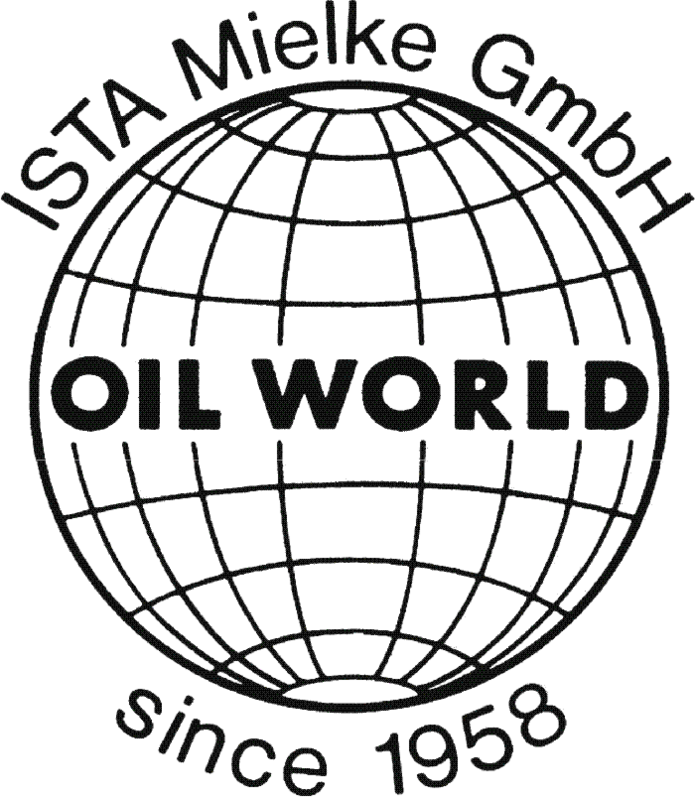 ISTA Mielke GmbH supplies all OIL WORLD reports and data services solely on the basis of these terms of purchase. Online orders are placed directly via the corresponding form on our website. The contract becomes valid even without a signature as soon as the form is filled in completely and sent online. An individual product is available either for direct download upon payment , or, if a Print Issue, a CD-ROM or a USB Drive is ordered, the product will be sent by Deutsche Post standard mail, either within two days upon confirmation of the order or – in case of a pre-publication order - upon release of the product. Subscription to Weekly, Monthly, Flash: Regular supply of encrypted, non-printable PDFs by e-mail upon release or, if the print issue of the Weekly and/or Monthly is ordered, delivery by Deutsche Post standard mail upon release. The customer has the right to revoke their order within 14 days without stating reasons. The revocation period is 14 days from the day the first report or data set is available for download or has been sent to the customer by other means. If the customer has cancelled their order, ISTA Mielke will effect a full refund within 14 days after receipt of the cancellation. The subscription runs initially either for one year or for six months, depending on the report offered, and is extended by the same period at a time unless it is terminated by notice in writing (by letter, email, fax) at the latest three months before expiry of the current subscription year. Orders for individual issues (reports, data sets) cover the respective item only. The subscription order for this offer is placed via www.oilworld.biz. The subscriber receives a subscription invoice by post or by e-mail within two weeks after placing the order for the respective subscription. Prices can be seen on www.oilworld.biz/t/publications/subscription. The subscriber is obliged to pay the agreed subscription fee immediately and without deduction. ISTA Mielke GmbH is entitled to bar delivery of the respective publication or data service at any time if there is insufficient cover in the account and payments are in arrears. ISTA Mielke GmbH is not obligated and willing to participate in dispute resolution procedures by any consumer arbitration board. Reproduction forbidden except by written agreement. Our publications, analyses, documents and the opinions given are strictly copyright and intended for the internal professional use of our clients only. Any copying, reproduction and/or redistribution (whole or in part) of any of the documents, data, content or graphs provided in OIL WORLD publications, on the website, the CD-Rom/USB Drive or by other digital means and ISTA Data Services without the prior written consent of ISTA Mielke GmbH is strictly prohibited. Any rights not expressly granted herein are reserved.